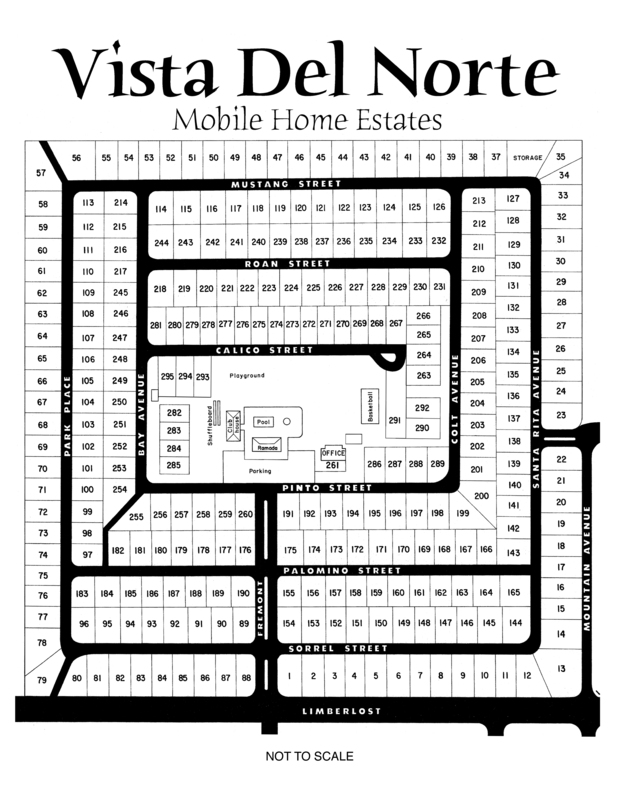 >Map of Vista Del Norte Mobile Home Estate. >Photos of Vista Del Norte Mobile Homes Estates. >>Mobile Homes for Sale by Owner. >>Tucson's Most Lush and Shaded Mobile Home Park for All Ages! Mobile Home Park for All Ages! a beautiful oasis in the heart of Tucson. The park features mature landscaping that provides wonderful shade and a lush environment for the residents, plus a stunning view of the Catalina foothills. In the midst of this park-like setting, residents can also enjoy a full-size swimming pool plus a wading pool for the little ones, a large playground and full-size basketball court, a clubhouse that is available for resident use by reservation, and quick and essay access to the Rillito River Park Trail, which runs along the northern perimeter of our property. The Vista Del Norte Community is located close to many conveniences for shopping, dinning, entertainment, and the everyday necessities of life. Tucson Mall is only a minutes away as well as a number of major grocery, variety, and specialty chain stores. Vista Del Norte is in the Amphitheater Unified School District and is adjacent to Rio Vista Elementary School. Many of our families enjoy being able to walk their children to and from school each day. Because of the excellent location and beautiful surroundings, Vista Del Norte is a mobile home park that has always been in high demand. As a result there are rarely vacant lots available. However, at this time we do currently have a few available mobile home spaces that have recently been vacated. This creates a unique, and rare, opportunity for those wishing to place their new or late model mobile home in our park so they can also enjoy our amenities and the truly special setting here at Vista Del Norte Mobile Home Estates. Would you like to see pictures of our park? Just Visit our photo page by clicking here.